 What is a ghost?  How does a ghost interact with the world?  Where can you find a haunted house?  Why do people usually see ghosts at night?  How do you record a ghostly encounter? 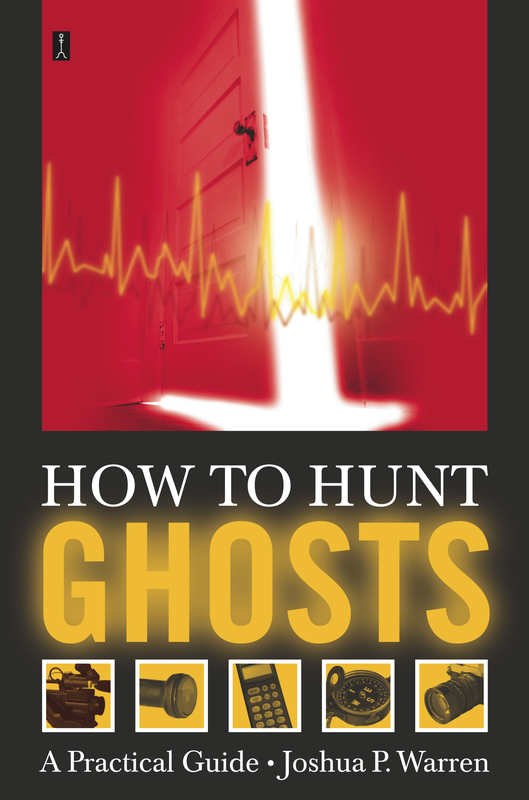 If you suspect you live in a haunted house and want to exorcise a ghost or attempt spectral communication, or if you are interested in pursuing a career as a ghost hunter or are simply curious about the paranormal, this intriguing and informative guide is for you. Chapter One: What is a Ghost? Also called spirits, phantoms, wraiths, visions, shades, specters, haints, and apparitions, we can loosely define a ghost as some paranormal aspect of the physical form and/or mental presence that appears to exist apart from the original physical form. The word appears is integral to the definition. Most ghostly encounters are evaluated by the five physical senses alone. This makes most information about ghosts subjective (dependent upon an observer's limited perception). One must be careful about drawing conclusions based upon subjective evidence. Objective evidence (dependent upon external, unbiased measurement, equally obtainable by all) is the pillar of scientific knowledge. Don't jump to conclusions based on subjective data. If you don't rule out the conventional, someone else will. Then, you look foolish. You and I might never agree on the taste of a chocolate bar. What I consider a pleasurable taste might send you gagging. And so whose perception of the candy bar is correct? Does the chocolate taste good or bad? How can I say that my tongue has priority over yours, or vice versa? I could say that most people agree with me, but that still doesn't mean I'm inherently correct. There was a time when most people in the United States believed slavery was okay. However, the perception of the majority can change over time. The taste of a food is an example of subjective information. Its value is limited by someone's unique interpretation. On the other hand, if we find a set of scales and agree upon its accuracy, we suddenly have mutual faith in this independent tool. Though our sensory perspectives are unique, the scales give us a common and definite standard by which to document reality. For instance, if we place the candy bar on the scales, it should be virtually impossible for us to disagree on its weight. This is an example of objective evidence. It is based on external measurement, and should be equally obtainable by all. The scientific method is founded on using objective evidence to establish a set of facts about any given phenomenon. Though this is the best way to conduct true science, it too has its faults. Information gathered in this way is only as valid as the tools and procedures used to gain it. The task of defining a ghost is somewhat complicated because it can blur the line between a subjective experience and an objective event. Defining a ghost in words is one thing. But defining a ghost in reality is a bit more difficult. What exactly qualifies as "ghostly"? How about a light in the kitchen that switches itself on and off at random? Is that the product of a ghost? Is it the work of a physically dead human? Or is it the product of something else entirely, maybe something as simple as a faulty switch? How about an isolated patch of icy air, mysteriously moving about in an otherwise sweltering room? Is this some aspect of a human spirit? Or is it some rare and bizarre quirk in the atmospheric condition? Any of these events, by itself, may or may not be considered ghostly. But what if, on the other hand, that light blinks in a kitchen where your dead grandmother used to spend her day? Or what if that frigid patch of air floats in a room where your brother killed himself? Suddenly, do these events take on new possible meaning? When primitive man first watched bits of iron lurch at magnets, surely it was considered ghostly. But ghostly activity is not always caused by a ghost. Likewise, a ghost does not always cause ghostly activity. Lots of spectral manifestations surround us each day, hidden in realms outside of naked human perception. A sharp mind is necessary to process all possibilities. Webster's defines a ghost as "a disembodied human spirit." But that definition is far too narrow. Animals, as well as inanimate objects like ships and automobiles, also have ghosts. For example, The Flying Dutchman is a phantom vessel seen sailing the Cape of Good Hope for nearly two centuries. Almost every product of our living existence has been witnessed, at some point, as a spectral manifestation. Therefore, the possibilities are virtually endless. Humans have been experiencing things they cannot explain for thousands of years. Most of the world's religions are based on the concept of a spiritual world, or an invisible dimension of existence that transcends our own. Even in the Holy Bible, chilling phantasmal encounters are described, like this passage from the Book of Job (4:15): "Then a spirit passed before my face; the hair of my flesh stood up." However, despite the centuries of "ghostly encounters," such episodes are still considered unexplained. This is precisely why science is necessary. If we are to grow in our understanding, we must use the tools of our newest technologies to separate documented facts from rumor and myth. Despite what some may believe, there is indeed scientific evidence that ghostly manifestations are real. In this manual, we will focus on such evidence and the techniques for obtaining it. However, when it comes to investigating these matters, data alone cannot further our understanding. It is necessary for you, as an investigator, to interpret the data in relation to many historical, emotional, theoretical, and altogether psychological variables that might influence the meaning of your findings. Again, remember the example of the blinking kitchen light. The activity alone may seem insignificant, but in context with the location's history, the phenomenon may gain new meaning. I once investigated a haunted New Orleans mansion where heavy footsteps could be heard thumping up and down the wooden stairs at night. The owner of the home, a sweet, silver-haired woman, wasn't bothered by the activity. "You may call them a ghost, but to me they're just footsteps," she said. Indeed, she was right. And a recording of the phenomenon would be just as mundane -- just footsteps. Even if they were the product of spiritual activity, documented with the best of today's technology, what would that really prove? Even when you successfully document an unexplained phenomenon, it may not prove anything about the source of the activity. Therefore, if you don't document the activity scientifically, you can forget any chance that your data will be taken seriously. Sometimes, though rarely, a ghostly manifestation is obvious: an apparition walking across the room or communicating in some way. On the other hand, it is often more subtle, yet equally intriguing. A brief, disembodied whisper in your ear, or a soft, fleeting touch on your back, can be just as amazing as an inexplicable mist swirling down a hallway. Clearly, your interpretation of such events must be thoughtful. But, again, to interpret information correctly, one must approach from an unquestionably objective perspective. Just because you're studying extraordinary activity, that doesn't mean you should abandon ordinary logic. Always remember the scientific principle known as Occam's Razor: In order to define a fact, assume as little as possible. The simplest explanation for a phenomenon is usually the correct one, and the less you take for granted, the more solid your conclusions will be. Throughout the text, I will reiterate the importance of always taking this approach. The pursuit of ghostly activity is often called "paranormal" research. The prefix para means "beyond." Therefore, the term refers to studying any events beyond the realm of normal occurrences. But how do we define normal? Normal is any phenomenon that can be satisfactorily explained by known and widely accepted physical laws and standards. If an event cannot be fully explained by known scientific laws or information, it falls into the category of the paranormal. This label is much broader than that of ghosts, of course. As a paranormal investigator, I never cease to be amazed by how little some people understand about what we do. When many people think of the paranormal, it conjures up popular images of ghosts, goblins, Sasquatches, UFOs, the Loch Ness Monster, and a handful of other esoteric subjects. However, those things represent only a sensational and highly fictionalized fraction of what we research. There was a time when lightning bolts were considered paranormal. There was a time when the sight of a jet streaming across the sky would have instilled panic and confusion in the casual observer. Obviously, everything we've ever learned about our world was at one time unknown. And yet there remain people who insist there's nothing left to be learned! Keep in mind the legend about Charles Duell, the head of the United States Patent Office in the late 1800s: He wanted to close the patent office in 1899 because he believed everything imaginable had already been invented. As you can see, the world of paranormal research extends much further than a television special at Halloween. But the public tends to immediately associate a particular image with every occupation, and the world of the paranormal will always produce visions of things that go bump in the night. Why? Because people will always fear the unknown. And the unknown is what we study. In his book The Demon-Haunted World, scientist Carl Sagan stated: "absence of evidence is not evidence of absence." There was no clear evidence of cellular or bacteria life until the microscope was invented. There was no clear evidence of the earth's magnetic field until the compass was created. Scientists believed coelacanths, a type of prehistoric fish, had been extinct for 65 million years, until one was pulled from South African waters in 1938. Prior to that fateful day, there was no evidence for the fish's existence. How many more "fateful days" lie in wait? In a literal sense, there is really no such thing as the supernatural or magical. Those are just glamorous names for a kind of natural technology we don't currently understand. At one time, a cigarette lighter would have been considered magical and supernatural. That doesn't mean it isn't real, though. As you can see, the need for paranormal research is not only legitimate, but absolute. As such, all science is a form of paranormal research. Science is, in itself, a quest to learn -- a quest to know the unknown; and yet, many conventional scientists call all paranormal pursuits "pseudoscience." Most mainstream sciences share one unavoidable fault: their essential need to limit themselves to studying activity of only a certain category. For example, a biologist is primarily occupied with living subjects, while an astronomer is principally concerned with bodies in space. After thousands of years of systematically searching for knowledge, the collective human experience has allowed us to create sciences that investigate the most frequent, common, and visible aspects of our life. However, there are still gaps. There are some gray areas between living and nonliving, plant and animal, reality and imagination. And within these realms occurs bizarre activity that no specific science is willing to officially adopt into its study. These activities sometimes seem to defy the laws according to which most of the universe functions. If the line between life and death were as clear as an equation, then there would be no controversy over abortion or life support machines. The issues attached to these two subjects directly challenge our ability to scientifically categorize something as seemingly simple and self-apparent as life and death. In fact, can we even prove that a human exists? We can document arms and legs, eyeballs and teeth, heartbeats and speech, and even personality. But is this all a human truly is? Or is there something more? Something not quite so apparent, yet perhaps most important of all? When you're studying the unknown, how do you know if this activity should be examined by a geologist, a physicist, or a zoologist? A specialist in each of these fields might never make the effort to investigate a questionable phenomenon, eager to see if it will apply to his field. Though the curiosity might certainly be there, most scientists are busy enough researching the activity they already know about. However, if we are to truly expand the range of reality we're willing to study, someone must make the initial effort to examine these quirky phenomena and decide what field or fields might be best suited to further understand them. Therefore, a good paranormal researcher is someone who has a strong, general familiarity with most mainstream sciences. When documenting unknown phenomena, this gives the researcher the ability to better recognize which branches of science would be most useful in studying it. Unfortunately, there are lots of illogical people running around out there calling themselves paranormal researchers. Indeed, they have every right to do so, considering that anyone with enough motivation can investigate an unknown subject. It somehow seems self-contradictory to obtain a "certification" to study the paranormal: How can you be certified to study an unknown subject? Therefore, in many cases, you end up with self-proclaimed researchers who don't approach any subject from a scientific standpoint. Some of them are clearly unstable people, or charlatans, who are more interested in promoting their beliefs than in collecting evidence. One rotten person can taint the image of the entire field. However, you must realize that every field has its wackos and incompetents. That means you should decide whether or not to trust a person based upon his or her track record. It's no different from choosing a surgeon. A smart person doesn't choose a surgeon based upon his proclamations alone. You need to see some examples of the doctor's work to feel satisfied. Whether they officially title themselves or not, paranormal investigators are a crucial part of bringing the public's attention to matters worthy of further exploration. Doing scientific research is time-consuming and expensive. Big science doesn't want to spend time researching something unless the potential financial reward is substantial. Not all big-science research is a sure thing -- e.g., AIDS research still hasn't resulted in a cure. No one wants to waste his or her time. Scientific progress is often directly related to money. The United States spent billions of dollars to create the atomic bomb on a deadline. If the money had not been available, you can rest assured that nuclear technology would not be where it is today. Look at the medical field. The development of new treatments and drugs is largely dependent upon the public's demand and willingness to fund it. It is a mistake to forget that conventional scientists must pay bills just like you and me. Some of the most consistent and immediately profitable subjects take precedence over those that may not be profitable at all. That's why so many blatant, unexplainable phenomena are still around in the twenty-first century. One must be realistic. There is a limited amount of researchers, money, and time, yet there's a seemingly infinite amount of often inconsistent unexplainable activity. In fact, it seems clear that there are more phenomena that we don't scientifically understand than those that we do. Where did we come from? Where are we going? Is there a God? If so, who or what created God? What is the mind? How does it control the body? What are dreams? How is a lifetime of memories stored in a fist-sized hunk of flesh? What is the ultimate design and meaning of time? A conventional scientist might condescend toward paranormal research, but that scientist is as perplexed by these questions as anyone else. The implications of paranormal research are far larger than any handful of clichéd topics. However, for our purposes, we will focus on ghostly activity exclusively. As we'll discuss later, this mystery may be the most important one of all. Ghost researchers are frequently called "parapsychologists." This term was coined because of psychologists studying extrasensory perception, or ESP. ESP is a general term, coined in the 1930s by well-known researcher J. B. Rhine of Duke University. It refers to using means other than the five ordinary physical senses -- sight, hearing, taste, touch, and smell -- to gain information. We know this more commonly as "psychic" phenomena. Since ghost research is indirectly related to ESP (as you will see), many parapsychologists have adopted it into their field of study as well. By the way, don't become a ghost hunter and then run around calling yourself a parapsychologist. There are laws that stipulate who can legally identify him- or herself as a psychologist of any kind. The modern era of systematic ghost research began in England in the late 1800s. It was called psychical research. Throughout the history of ghost investigation, scientists have persisted in applying their own, specialized terminology to the field. This has caused some confusion among those trying to discuss the phenomena. What one person calls a phantom, another might call a demon. What one calls haunted, another might call a portal. With this book, I hope to cut through the confusion to establish some basic foundation for the activity. In many cases, it's premature to start dicing them up into terms. A classic example is how some people use the words ghost and spirit differently. For our purposes, the terms ghost and spirit will be used interchangeably. Some people think of a spirit as being a uniquely human thing, an energy that carries your personality, whereas a ghost is any haunting vision of the past. However, it's not wise to play semantics at such a level. If you start categorizing things before you fully understand them, you're limiting your ability to connect two concepts freely. We will use the minimal amount of terminology necessary to gain a simple and strong understanding of a complex subject. Whether we call it a ghost, a spirit, a phantom, a wraith, a spook, or something else, it should still fit into our general definition of a ghost: some paranormal aspect of the physical form and/or mental presence that appears to exist apart from the original physical form. Though the word ghost is used generously and impersonally, you must be mindful that ghosts may sometimes be conscious human beings in a different form. If so, we can assume that all the pride, emotions, and curiosities that accompany us in life, accompany us in a spiritual form. In life, the spectrum of human personalities is boundless. Why should it be different in an afterlife? We might call some conscious ghosts bad, or others good -- just as we may call some living people bad or good. Whatever the case, it is ridiculous to fear all ghosts. If some ghosts are merely humans in a different form, you should view them humanely in your research. It is also beneficial to keep in mind that if the ghosts you seek are humans in a different form, you can relate to them on a more realistic scale. Do all Texans wear big cowboy hats? Of course not; that's simply a stereotype. Do all ghosts hang out in graveyards or rattle chains? Of course not. Don't go looking for silly stereotypes and then become disappointed when you don't find them. As I'm sure you've gathered, this book tackles scientific concepts. Such issues can be approached by examining evidence or scrutinizing laws of matter. This book does not address those specific concepts raised by religion. The reason there are so many religions is that one does not need evidence to form his or her religion. Religion is instead based on how one chooses to apply meaning to life. If evidence were a necessary foundation for religion, there would not be so many religions throughout the world. The issue would be greatly simplified: PROVE your views. But this is not what religion is about. Religion is about how you make personal sense of the chaos of life; science is about how you define the universe according to provable laws. Despite what some may tell you, ghost research does not contradict religious integrity. There are many religions with conflicting views. To see life through religious eyes, one must usually choose and equip a system of predetermined beliefs. However, one desiring scientific knowledge does not choose, but instead explores. If a viewpoint, religious or otherwise, is correct and true, then it should stand up to any and all scrutiny and criticism. After all, the truth cannot be unseated. Therefore, it makes no sense to worry about acquiring new knowledge. If one's previous beliefs are true, research will only confirm this. If they are incorrect, though, they will crumble. If you seek to know truth in life, absorb all knowledge. Any institution, religious or otherwise, that commands you to limit your intake of scientific knowledge is afraid of its faults being exposed. An unscrupulous salesman will never tell you to look at his competition's selection. One offering the best deal will welcome the comparison, however. The best deal has nothing to fear. There is a unique irony in how the public treats the idea of religion in relation to ghost research. Many religions are founded on the concept of an afterlife. One is told to believe in this afterlife based on faith alone. A need for faith implies that no concrete evidence is available. On the other hand, paranormal investigators have found evidence that may indicate we indeed do have an afterlife. Ironically, instead of seeing this information as beneficial, religions often find it threatening. Why must science and religion necessarily contradict each other? Is it possible the two are often addressing the same subjects, but from a different perspective? Many religions, especially Christianity, are founded on spiritual or otherwise paranormal activity. 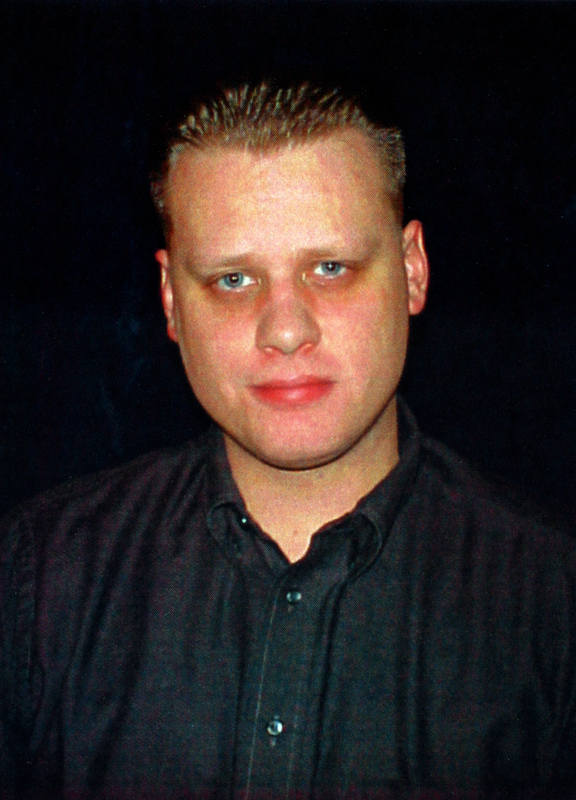 Peter Underwood president of The Ghost Club Society A fascinating work by a longtime student of psychic phenomena who is much respected and consulted. It deserves the widest possible readership. Rosemary Ellen Guiley, PH.D. author, Encyclopedia of Ghosts and Spirits What a great book -- it's fun, fabulous, and filled with insider's tips and techniques. Join the pros and investigate ghosts as an expert!